Even as the economy sheds jobs at an alarming rate, there are early signs consumers are over the shock of recession and opening their wallets again. Even as the economy sheds jobs at an alarming rate, some economists say the worst may be over for consumer spending. That doesn’t mean a return to the shop-till-you-drop, borrow-like-no-tomorrow days of just two years ago, but it may represent a stabilization in one key area of the economy. "We had a shock to the system from last September," says Chris Rupkey, chief financial economist at the Bank of Tokyo-Mitsubishi, referring to the collapse of Lehman Brothers. "Consumers put away their credit cards. As we get past the shock, they will start spending. There's pent up demand. Whether it is long lasting is another story." Rupkey is hardly among the minority in thinking that way, and though that assessment may sound somewhat tentative, it has some historical precedence. Consumer spending bounced back after other major national shocks, such as the terror attacks of 2001 and the stock market crash of 1987. Recent economic data, though limited, may also support that expectation. 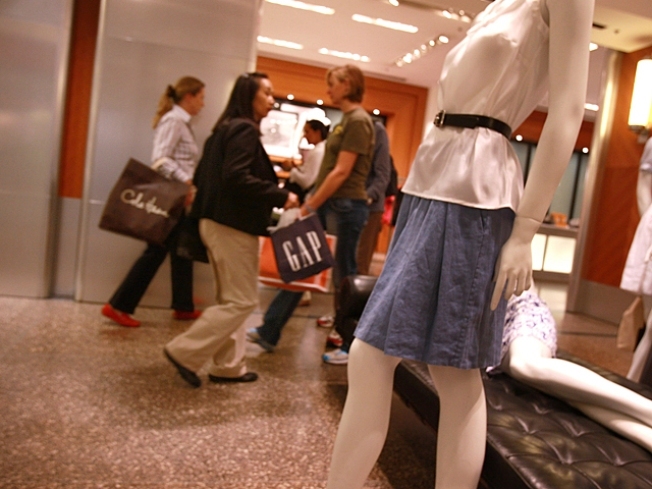 Retail sales rose 1.0 percent in January. Consumer spending and income also rose in January, up 0.6 percent and 0.4 percent, respectively. Wal-Mart Stores’ (NYSE: WMT) 5.1 percent same-store sales gain in February also buoyed up some hope. That may not seem like much, but given the fact that consumer spending posted consecutive declines in the final two quarters of last year for the first time in half a century, it’s a start, say economists. "We're getting to that point.” says Michael Niemira, chief economist at the International Council of Shopping Centers. “Though it is suggestive of a bottom, I would be looking for other supportive data that things are getting better." Those would include a stabilization or increase in auto sales, what’s long been considered a reliable leading economic indicator, which is a “microcosm” of credit conditions and discretionary spending. Economists say a lot from here depends on psychology, and even that could go either way. “There has been so much attempted manipulation of sentiment and expectations to keep them down, to not get anyone's hopes up,” says Brusca, chief economist at Fact & Opinion Economics, referring to the drumbeat of negatative statements from President Obama and his economic team during the debate over the stimulus package. Passage of the package, as well as an more upbeat tone from the Obama administration since then, should help—sooner or later. "It’s going to be a battle,” says Rupkey. "They make the announcements with the intention of shoring up confidence, but they’re not getting the bang for the buck of previous years." "I think we are close to where the intensity of the recession starts to back off,” says Ken Goldstein, an economist at the Conference Board, who expects the March payroll losses to below 600,000, marking a break with the jaw-dropping losses of the previous four months. At the same time, Goldstein says, “We're not going to get surprises on the upside on consumer sentiment or spending." Historical patterns and timing aside, economists say there are some significant differences to the psychological dynamic this time. Steep declines in home and stock prices have left many consumers feeling poorer, while others are still deleveraging. What’s more, future tax increases are likely to weigh on spending plans. Together, that has put some economists in a bearish mood. "Consumers will continue to decrease spending," says Richard Hastings, a consumer analysts at Global Hunter Securities. “By the middle of 2010, consumers will have bottomed out and conditions should improve for consumer spending."